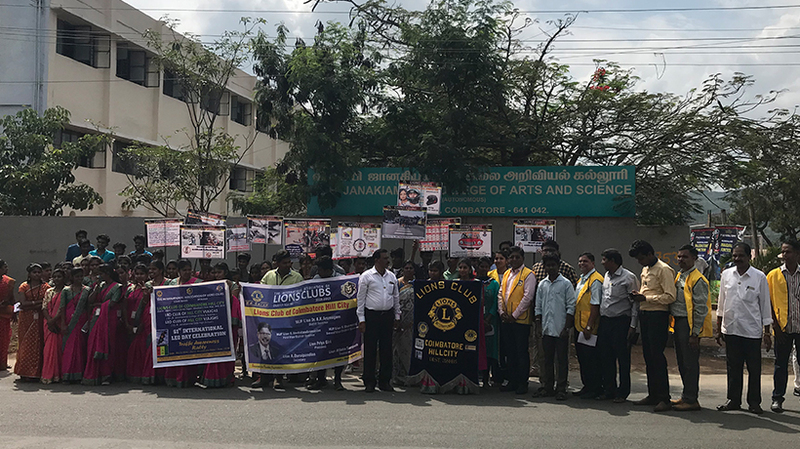 Coimbatore : A total 75 students from VLB College today participated in a traffic awareness rally organised by Lions Club of Coimbatore Hill City. The rally from Palakkad Main Road to the VLB College of Arts and Science was organised as part of Leo Service Day being observed on December 5. The rally was flagged off by zone chairman Dr V.Srinivasa Giri in the presence of traffic awareness district chairman SK Murugesan with club president Priya S Giri presiding, a statement from club district chairman S Prabhakaran said.